Shannon Elizabeth's Royal Flush: After her career cooled down post-Pie, Elizabeth dove head-first into the world of poker, participating in some of the world's biggest card events. She has played in the World Series of Poker and the NBC National Heads-Up Poker Championship; furthermore, at the World Team Poker Championship in 2011, held in Las Vegas Elizabeth represented Lebanon. John Cho, Rock Star: When he’s not acting, Cho is the lead singer of an L.A. band called Viva La Union. His band’s music was, fittingly, included on the Harold And Kumar Escape From Guantanamo Bay soundtrack. Though we're pretty sure he had some pull on that one. 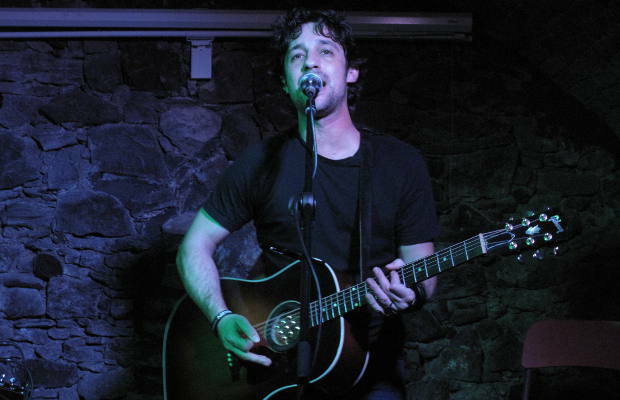 Thomas Ian Nicholas And His Guitar: Cho might have some musical chops, but Thomas Ian Nicholas, a.k.a. Kevin (the Pie films' fourth wheel), is easily the most successful musician of the bunch. As a signer/songwriter, Nicholas has released three albums and sang during the 7th inning stretch at Wrigley Field. He also has music on the American Reunion soundtrack.